Congratulations to the Class of 2016!!! The merry month of May has drawn to a close, along with the high school careers of thousands of Hawaii Students. Back in the mid-1970’s, when I graduated from Baldwin High School, you could count the number of Maui County high Schools on two hands and still have a few fingers to spare. Today, it would take all of your fingers and even some toes. Of course, if you’ve graduated from high school, you shouldn’t have to use your fingers-or your toes-to count anything. The Hawaii Department of Education’s list of 2016 graduation ceremonies includes 64 public and charter high schools. According to the department, more than 11,000 students were expected to receive their diplomas in the month of May. That doesn’t include Hawaii’s private, schools, though, and while I was unable to find those statistics online, I would imagine the number of private school grads might equal or even surpass the public school count. Unfortunately, there was one glaring omission from the public schools’ list: the adult school graduation ceremony. Formerly known as the Maui Community School for Adults, the Maui Campus of the McKinley Community School for Adults held its 49th annual commencement exercise last Wednesday evening at the H.P. Baldwin High School Auditorium. I’ve had the honor of emceeing this ceremony for the past 10 years, and it ways brings tears to my eyes. This event is not as large or formal as the ceremonies at Maui’s traditional high schools, but it is just as festive and perhaps even more significant for its participants and audience members. The men and women who took the walk last Wednesday matriculated through various means: the Competency Based High School Diploma Program, the General Education Development Testing Program, the High School Equivalency Testing Program, Hawaii Job Corps, Hui Malama Learning Center, Maui Economic Opportunity and the University of Hawaii Maui College Kuina and Educational Opportunity Center programs. Special awards were presented to the students who scored highest in their respective tests. But the highlight of the program every year, as far as I’m concerned, is the moment when selected students take the podium to speak. This year, three graduates-Jammie Chong, Erin McNulty and Isaiah Gatsby-shared their individual stories. 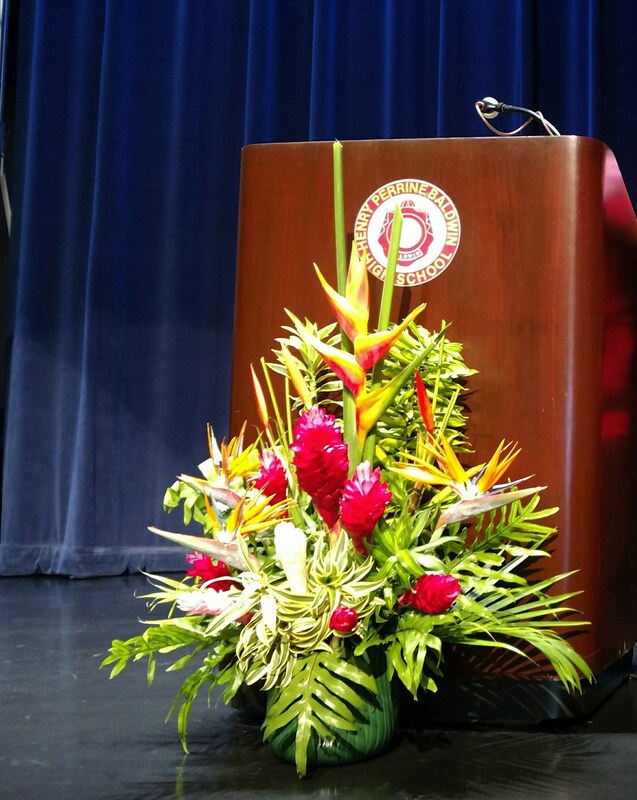 Their backgrounds and the challenges they faced were varied, but all three delivered speeches that were both compelling and inspiring, and echoed sentiments expressed by their fellow graduates. Whether teenagers who didn’t fit into the traditional learning curve, or older adults whose lives simply got too busy or demanding, all of the participants in the Maui Campus of the McKinley Community School for Adults commencement reached a turning point in their lives, and set their minds to achieving a goal that so many of us take for granted. Some accomplished their dreams in a matter of a few months; for others, it took several years of fitting classes and studies into an already jam-packed life. The speakers, as well as the graduates I spoke with after the ceremony, all gave credit and deep gratitude to the folks who supported them in their studies and spiritually, families, friends, fellow students and especially, the faculty and staff of adult community school’s Maui Campus, were cited as invaluable to the students’ success. Vice Principal Kurt Ginoza, affectionately called “Mr. G” by all, modestly brushed off the praise and told the students that they were the ones who deserved the credit. Mr. G’s pride in each and every graduate was evident in the time and effort he spent on making last week’s ceremony a memorable occasion, from the video presentation on a giant screen, to his heartfelt remarks before the presentation of diplomas, to his select of Kool & the Gang’s “Celebration” to replace the customary recessional march. The motto on the evening’s printed program read, “The road to success is pave with the will to never stop learning” I think it helps to have a road crew populated by folks who care. Congratulations to all of Maui County’s graduates! May you never lose the will or the desire to live, laugh and learn. 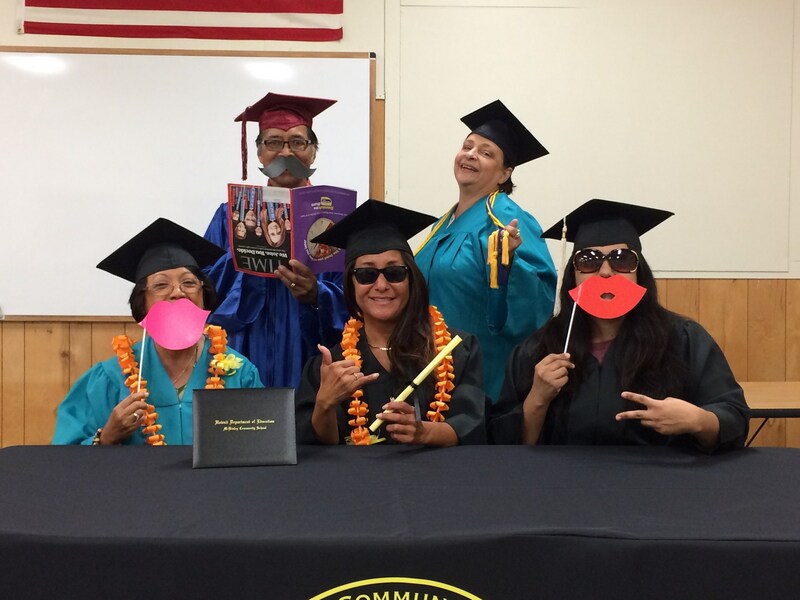 Maui Campus Graduates 145 students! Congratulations and best wishes to our graduates! "Wherever life takes you, make sure you're courageous", Kurt Ginoza told graduates on Friday June 2nd at Baldwin Auditorium. Educational Testing Services' (ETS) HiSET testing program and Essential Education's HiSET Academy Online Learning Program has come to the aide of residents on the island of Lanai. 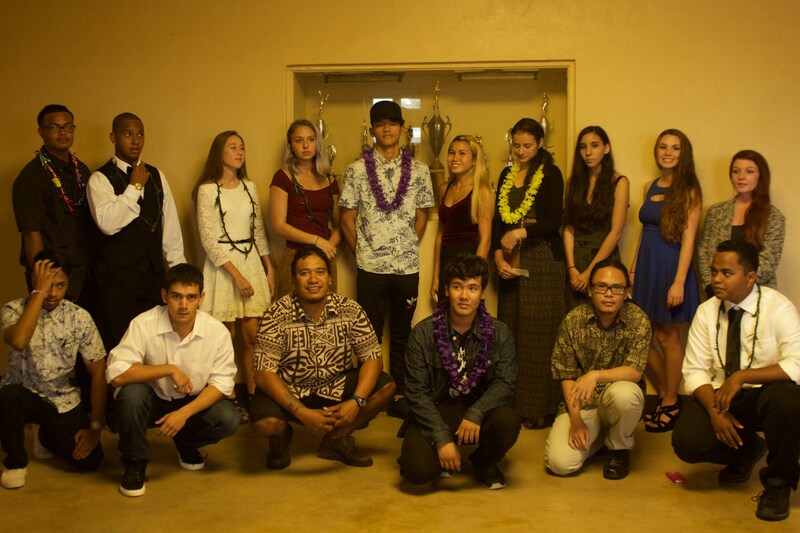 Utilizing the online program and the HiSET paper and pencil testing format administered by Dave McHugh, Chief Examiner of McKinley Community School’s Lanai Campus, the first graduating class on Lanai celebrated their recent accomplishment by receiving their national high school equivalency credentials. The “Pineapple Island” of Lanai is the smallest publicly accessible inhabited island in the Hawaiian chain with a population of approximately 3,000 residing in the small town of Lanai City. Many of the island’s landmarks are accessible only by dirt roads that require a four-wheel drive vehicle and there are no traffic lights, no shopping malls, and no public transportation. Lanai’s graduates appreciated the opportunity to demonstrate their high school-level proficiency and their readiness for higher education and the workplace by completing Essential Education's HiSET Academy as well as passing the HiSET test. 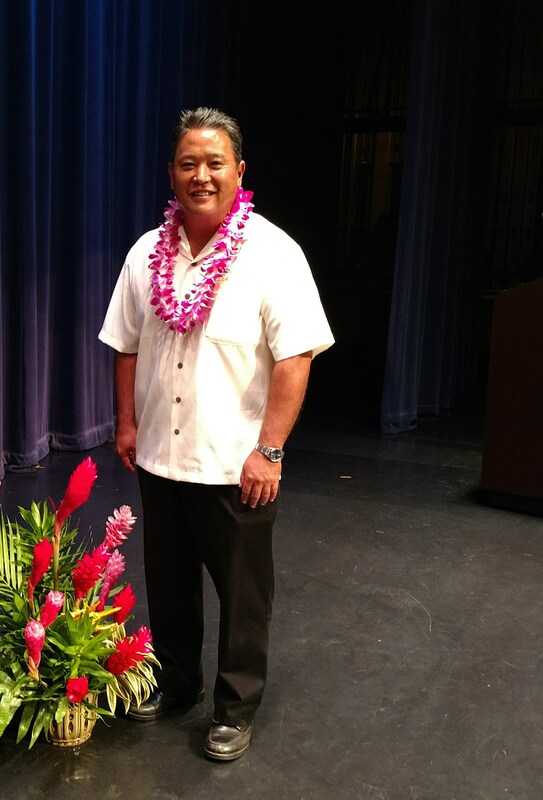 They also thanked Vice Principal Kurt Ginoza for establishing HiSET paper-pencial format on their island and also “blazing the trail” to Lanai via the early morning Lahaina ferry from Maui to Lanai’s Manele Harbor. A BIG mahalo also to, Amy Riker (HiSET National Executive Director), Adam Springwater (Western Regional Manager), Ryan Sanpei (MCSA's Program Specialist) and Lance Jyo (Vice Principal Moanalua and Kauai Campuses) for their contributions to this team effort to provide accessibility to such a remote area as Lanai. Congratulations to Lanai’s HiSET Class of 2016 from the "TEAM"!